"... I've been into lifting for several decades now and I have seen many, many different supplements come and go over those years. I am happy to be in an age where protein bars and snacks are so plenty and so delicious as well. My go to bars used to be the Detour bars, then the Quest Bars, then the Combat Crunch Bars which are awesome. But these pack a close second and give me a chance to switch it up. Funny thing is my little grand kids also love them." 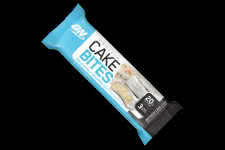 Each package contains three delicious cake bites of protein! 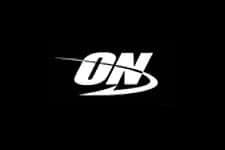 Optimum has always been on the forefront when it comes to high quality protein, especially with the famous whey protein line. So it's no surprise that they've decided to jump in to the protein snack category and of course, make it their own. Introducing their cake bites which are similar to a protein bar, but in our eyes, better. 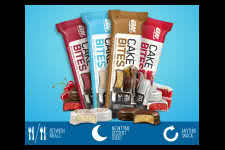 Each package contains 3 cake bites which will treat you with a total of twenty grams of protein combined. It's essentially an anytime snack that anyone and everyone should take advantage of. We all get cravings and having these with you makes it easier to choose a healthy and DELICIOUS treat at the same time. Best of all, each serving only contains about five grams of sugars. You won't believe how amazingly delicious these protein snacks are and the wide range of flavors they come in. There is also about twenty-five grams of carbs to help you fuel you throughout the day. Be sure to try them all so you can find your favorite. We love cake bites and we're sure you will too! Try Birthday Cake, Chocolate Dipped Cherry, Red Velvet or Chocolate Frosted Donut! Loaded with high quality protein to give you a quick boost for growth and recovery!